Stop and consider your own life and childhood. Do you have many memories of intentionally being taught how to act correctly? Probably not. Instead, you have a few fun memories and a bunch of memories that make you smack yourself in the face and think, “Ugh, if only I hadn’t learned that lesson the hard way!” You and I are intentional. We want to train our little one to know what behavior is acceptable and what is NOT, so they don’t have to learn the hard way. So, let’s talk about how to teach a child good behavior. Training your little one in what is right and good. When I got pregnant with my first born, I would daydream about how great my life as a mom would be. One thing I knew was that I would walk through fire to make sure my little family was strong, enjoyed each other and that each child was equipped for living a great life! I was convinced it was possible. However, I’ll admit, at first, I didn’t know how to accomplish it. I thought, “surely, good parenting isn’t only passing out punishment for every mistake a child makes? !” “Can’t I actually train or teach my child how to behave well, instead?” This was so foreign to everyone around me at the time. 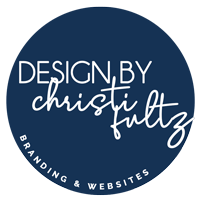 Back then, and even more today, you’re much more likely to find a lot of people telling you about the hardships of raising kids than to find a resource showing you how to actually do it well! I put my blinders on, put my head down, and started looking for every answer I could find on how to actually train a child to be good. How to teach a child good behavior using the 3 P’s. In just 3 simple steps! Identify what you want from your little one. Whether it’s sitting still, speaking kindly, sharing, being gently, or any other desirable behavior, present to your child what it is you expect. Be clear and concise about what is acceptable and what is not. Don’t hold back when it comes to communicating with your child. Don’t believe that words are wasted on your child because of age. Your child understands more than you might think. And remember, you are training SO she understands, not because she already does. Read more about teaching your toddler to talk here. Once you have told your child in a few concise words what it is you want or expect from her, move on to #2. So, this is where the fun starts. When I began child training with my firstborn, I had no support other than my husband. I was the first of my friends to have a baby and the concept of child training was foreign to any other acquaintances around me whom already had children. Fortunately, you and I have found each other, so you don’t have to be “the only one” intentionally training your child, the way I was back then. Approach practicing behavior this way for every good behavior you want your child to display. Your child will never be able to execute a behavior perfectly, every single time, every single day. Human nature dictates that she will make mistakes. When I say, “perfect it” I mean to do #2 so much, that the good behavior becomes a habit. Practicing it to perfection means she will display this good behavior more times than not because she has been taught how to do it right and how to do it well. You’ll notice your child will be really good at one behavior and not so great at another. Pay attention to these things. These are easy indicators of who your child is and who she’ll become. For instance, sitting still came easily to my oldest son. From a very early age, he could memorize long bible verses. Today, he reads big fat books like these, all day long for pleasure. He is laid back and tech-savvy. On the other hand, my daughter needed extra practice sitting still, however, she always had an easy time with practicing boldness in regards to speaking to people. Today, she is a high-energy, gymnastic-loving girl who is very relational. People are important to her. She’s filled with compassion and has a smile and hello for everyone she meets. 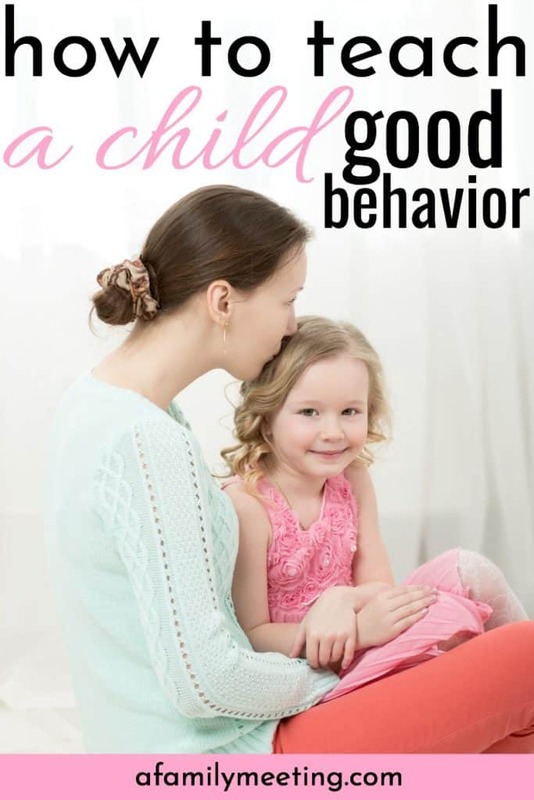 You set your child up for success when you intentionally train her good behavior. Being dedicated to teaching her good behaviors minimizes the number of things she has to learn the hard way. In addition, you’ll be so tuned-in to who she is as a person, you’ll be able to train her all the better. Child training is a beautiful cycle that benefits you, your family and most importantly, your child! 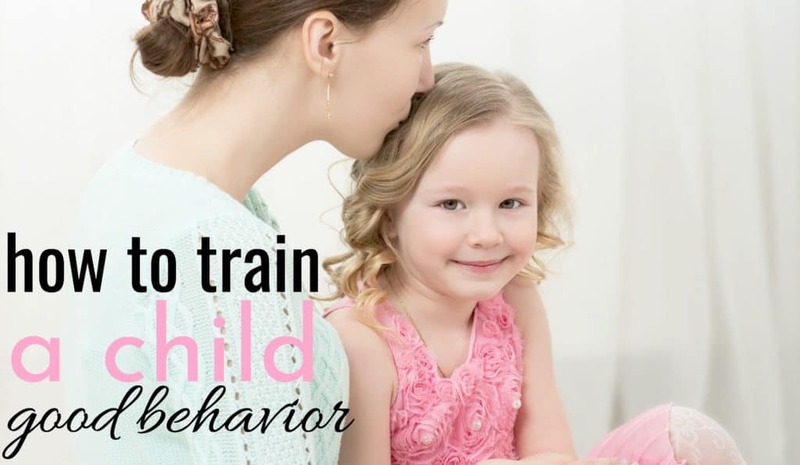 Spend some time each day intentionally training desirable behavior into your child. Present it to her, practice it and perfect it. Child training never ends. You’ll find yourself revisiting many behaviors you’ve previously taught. That’s OK. This is so easy to follow. Thank you very much. I will keep on it. Hi Shelley! These are very good tips for helping a child learn a specific behavior. Thank you for sharing these! Right now, my son is learning to sit still in church. He knows what is expected but we need to keep working on practicing and perfecting. Parenthood is amazing and I know all of the efforts of intentionally teaching a child will be worth it. Thank you for the kind words. Keep up the good work!